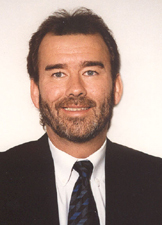 Paul has been involved in the financial services profession since 1992. He attended Indiana University. Paul has enjoyed teaching several industry classes and is a frequent lecturer within the financial arena. Paul has spent the majority of his career as a Financial Advisor and Manager. His professional dream was to own his own financial firm, which became a reality in 2001 when he started The Financial Resource Group in the Michiana area. Paul was born, raised, and continues to live in the Michiana community. His late parents have been the greatest influence in his life. They taught him to have a great respect for others and to live with a purpose. Paul continues to carry these values with him today. He realizes the importance of people, community, and the quality of life. This is why he believes his clients to be one of his greatest assets. He believes in approaching life with balance and a positive outlook. Paul loves to run, and is a nature enthusiast who enjoys hiking and camping. He is also a huge sports fan, especially of the Chicago Cubs. He is proud to be an active member of The American Cancer Society and a supporter of the Hope Rescue Mission.